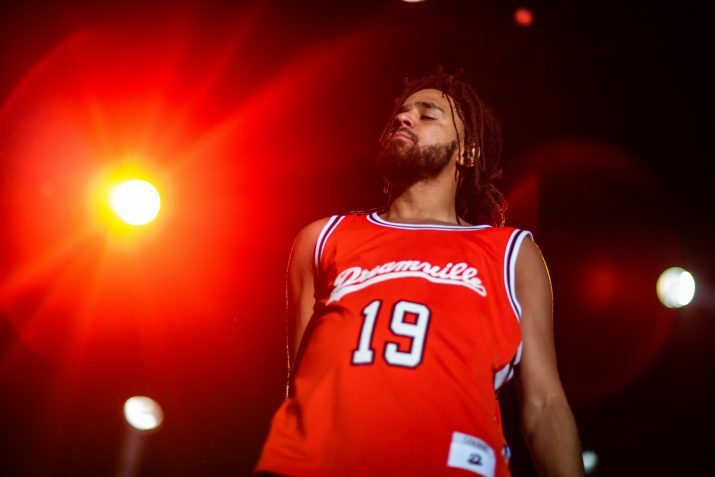 J.Cole can't be the only artist who don't dream to strive more accolades in his career at least getting more ink will also escalate his worth. J is now rolling with PUMA after he nab a great deal with the company who has been with Selena Gomez. Complex told Amahiphop about the new tweet from PUMA’s Senior Marketing Manager Clyde Edwards posted a tweet that was cryptic at the time. “The ROC is in the building.” it said. After the post Usain Bolt then took a new post where see some other people with J.Cole on stage. The new post also captioned PUMA Family and this has simply means Cole has join the squad. This isn't the first time we are getting notice about PUMA and J.Cole of course we onec heard about this but air-out.